Thanks to my loyal customers and supportive friends, Play at Life Fiber Arts is headed into its 3rd year of business! I’m hoping this year will bring new opportunities, more exposure, and more fun. I’m thinking a giveaway is a good way to accomplish all those things! The giveaway will run through noon, Friday, January 13, 2011. I will announce the winner here, Monday, January 16, 2011. The winner will be responsible for contacting via email. EDIT 1/13/12 NOON – ENTRIES ARE CLOSED! THANKS TO EVERYONE WHO COMMENTED! Congratulations on your 3 years. Just found you this AM… Added your post to my twitter Buffer, so it will be going out sometime today. Birthday cake….hmmm……….Something with chocolate. Chocolate cake made with coffee, then filled with raspberry freezer jam perhaps? And, a large cup of coffee to go with. What a fun visual to start my morning off with! Homemade white cake with a raspberry filling and buttercream frosting. OR a homemade hostess cupcake cake. Delicious! Chocolate layer cake drenched in chocolate ganache. Mmmmm…. I’m gonna have to say red velvet cake. Not a typical birthday choice, but mmm, is it good! Chocolate Truffle Cake … or Pineapple Upsidedown … it’s a toss up! Hmm my favorite cake, would have to be angel food cake, with strawberries. YUM! I love fun shaped cakes for birthdays. A couple of years ago I made a giant chocolate cherry ripe mud cake in the shape of pac man for my husbands 30th. It was epic. Congrats on your 3 year anniversary. My fave cake? The one my mother used to make for my birthday. Plain homemade yellow cake with milk chocolate frosting….mmmmmmmmmmmmm! I ate half a sheet by myself one year. Chocolate and strawberry, or chocolate an sour cherry. Congrats for the 3 year anniversary! It is awsome! My family’s secret recipe* for carrot cake with the lemon cream cheese frosting, baked into cupcakes. So wonderful. *I’m sure it’s not secret at all, but there’s not much fun in presenting people your widely known and quite common carrot cake, is there? Favorite Cake…. I’ll have to go with chocolate with cream cheese frosting. White cake preferably with a bit of almond extract thrown in with white icing also with a bit of almond extract. Chocolate with chocolate frosting of course! ice cream cake all the way. Cake…mmm….I love ALL cake, but I think my hands down favorite would have to be vanilla cake with raspberry filling and cream cheese frosting. Drool…. My favorite kind of cake? Something with chocolate in it. I’m not too picky. I always make myself a cake with homemade caramel frosting. Sometimes I even share. I make a fab choc cake with a thick choc covering – my mum taught me how to make it when I was a kid. I make it for my kids, my godson & Christmas – definitely my favourite! Any sort of ice cream cake is the best! Congrats on your 3 years!!! I tweeted it as well! Thanks!!!! My favorite kind of birthday cake is Red Velvet. Tres leches cake is my favorite. Topped with a little toasted coconut… Perfect! Since I found out I can’t have gluten (or seafood or tree nuts) my taste in cake has changed. Before, I would go with something rich, like a chocolate cake with dark chocolate frosting. Since I don’t care for any of the gluten free chocolate cakes I have tried, I would now go with yellow cake with mini chocolate chips and butter cream frosting. Congrats on your 3rd anniversary. Fave Bday cake?? Ice Cream cake with chocolate and mint ice cream layers! Cake in it’s purest form – white cake with vanilla buttercream frosting – is my favorite food whether it’s my birthday or not! My favorite is chocolate rasberry!! And i am so happy you are still in business, most things i make are out of your yarnz, i get so many compliments on them! I also posted to twitter. Congrats on 3 years! You always have lovely stuff. I’m a red velvet with cream cheese icing girl, myself. YARN CAKES. Ready to knit! My favorite kind of cake is red velvet! It’s so delicious! And sometimes, instead of creamcheese frosting, I use vanilla, and it makes it that much sweeter! For some color, I will add red sparkle sugar decorations! So it’s not only tasty, but pretty, too! My mum makes the most wonderful checkerboard cake. I LOVE it. It’s white cake and devil’s food cake spliced together to make a checked pattern when you cut into it. My mom always gave me Peanut Butter Pie for my birthday cake. Yum! I’m posting to my facebook account. Congratulations on your 3 years! Wow! Congratulations on 3 years! Also, I shared on FB, G+, and Twitter. Also, I just put it on Facebook! Ice cream cake! Preferably with oreo crumbly bits. I am not much into traditional cake. Me I’m a pound cake girl.Love a all butter pound cake for my birthday. I actually don’t like cake, so my mom makes me birthday pie! Different, but delicious! Would it be a cheat if I listed 2? Well they remind me of my mother (sadly departed), who made made both for me over the years, and both evoke really powerful memories. 2. Fat free sponge in 3 layers with a creme de marron glace (glace chestnut puree) filling and a chocolate coating – but the coating was almost savoury and the sponge not at all sweet, all set off by the chestnut puree – oh yummy. Both cakes have elements of the sweet with the not so sweet. Anything as long as its LOADED with frosting!! Congratulations on your 3rd birthday! My fav kind of birthday cake is one I didn’t have to buy for my self, showing that some one thought of me, best one was when my friends surprised me with a cake at a picnic in the park, love em! Flavour wise tho I’m very partial to chocolate fudge cake. And cream. Also, I posted this on Facebook so my friends can see your beautiful yarns! Homemade Strawberry cake from my Great Granny’s recipe. I’ve had that ever since I can remember and it is so good! Cake would have to be carrot (made w. 3 -yes 3- cups of carrots) and cream cheese frosting. The bomb. Love your yarn. The colors knit up so nicely and my soon to be socks are going to be dying to get on my feet! Congrats on 3 years! I’m not a big cake eater what with being vegan, but my daughter’s favorite is red velvet cake & I’ve learned to make it quite well over the years! omg happy birthday play at life!!!! my favorite cake is pineapple upside down cake. I love Jello cake! May absolute fave with strawberry flavored jello. German chocolate with coconut pecan icing! Ice cream cake, all the way! Love love love anything chocolate…escpecially the raspberry chocolate torte at pastiche on the hill. hmmm, fiber night at pastiche? Happy Third Birthday! Keep making beautiful yarns, we love them! My favorite birthday cake would have to be red velvet. I adore butter cream icing! Yah! Go you. My favorite birthday cake is this Peanut Butter Pie my grandmother would always make me by request for my birthday every year. It was light and fluffy with a pretzel crust plus a chocolate drizzle over the top. The pie/cake was the best part of my birthday celebration! My favorite cake is vanilla with vanilla frosting and vanilla pudding, hehe:) Congrats on 3 years! My favorite cake flavor is chocolate all the way. My favorite anything is chocolate, actually. My favorite basic cake is yellow with chocolate frosting. 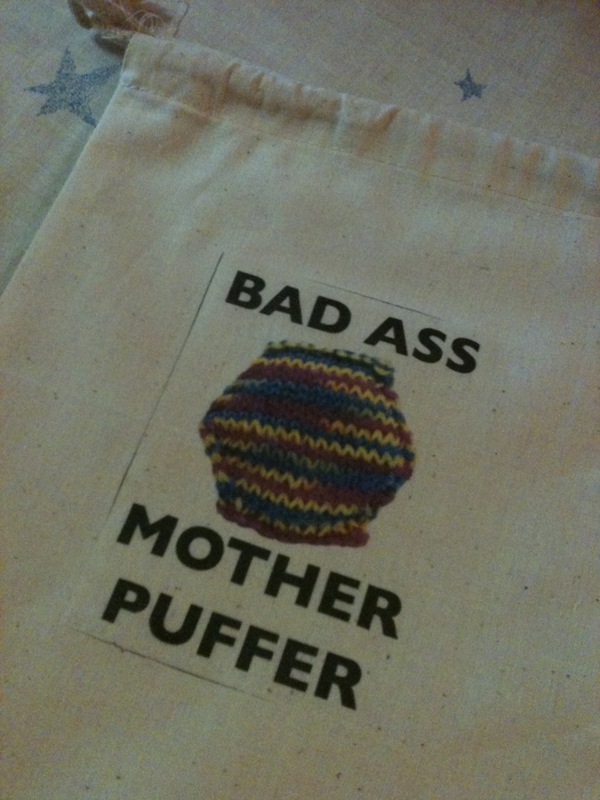 First of all I just started the Bee Keepers Quilt and love the bag:) My birthday is in a few weeks as is my daughters. My daughter always requests home made apple pie and I love vanilla cake with vanilla frosting or a Tres Leches cake! Congratulations on 3 years! Devil’s Food with chocolate fudge frosting, chocolate ganache between layers, and nonpareils on top. With champagne of course! I’m sort of a plain jane kinda girl. I like yellow cake with lots of chocolate frosting. I eat the cake first and then eat the frosting at the end. Yummy! Since today is my birthday, I’d have to go with the amazing amaretto cake my husband made for me last night. It’s topped with sliced almonds and an apricot glaze. NOM!!! Hands down, nothing in this world beats a proper German Chocolate Cake. It’s just too bad that it is so hard to find a good one. I can’t be trusted to make it myself because I will eat all the frosting before it the cake is even out of the oven. also, I shared the giveaway via twitter! Definitely yellow cake with chocolate icing. My family makes it for me every year. I also shared it on Facebook! My favorite cake….chocolate chip zucchini cake. An old favorite from my childhood. So good! I like chocolate with chocolate frosting with chocolate ice cream! I todes just pimped you on Facebook. Holla! It has to be something with rainbow chip frosting. Maybe yellow. Or chocolate. My favorite birthday cake is an Italian mocha cake with chocolate ganache frosting and chocolate ribbons. My favorite kind of birthday cake was one I made for my husband in 2010. Two layer yellow cake baked with pineapple bits, soaked in pineapple vodka for two days, and frosted with pineapple vodka blended in buttercream. I love chocolate cake with lots of vanilla frosting! Cake? Chocolate with espresso creme filling and dark chocolate frosting. Nom! My mom used to make Betty Crocker yellow cake from a box & frost it with Betty Crocker chocolate frosting from a tub. Not gourmet or anything, but it’s a taste of my childhood and is comfort food. I can’t eat it anymore (lactose intolerant), but it’s a good memory. My favorite type of birthday cake is anything CHOCOLATE. I especially adore the Chocolate Ribbon Cake my mom used to make for me when I was a kid. Chocolate cake with a layer of cream cheese filling and chocolate icing! Chocolate with mocha buttercream. Om nom nom. Happy Anniversary!! My favorite b-day cake is chocolate cherry like my grandma used to make and then my dad made when she wasn’t able to. It had been a few years since I was anywhere where my dad could make me cake for my birthday, but this year he sent me the recipe and I made it for myself…it came out lop sided, but tasted delicious. PS…I also posted the link on facebook. 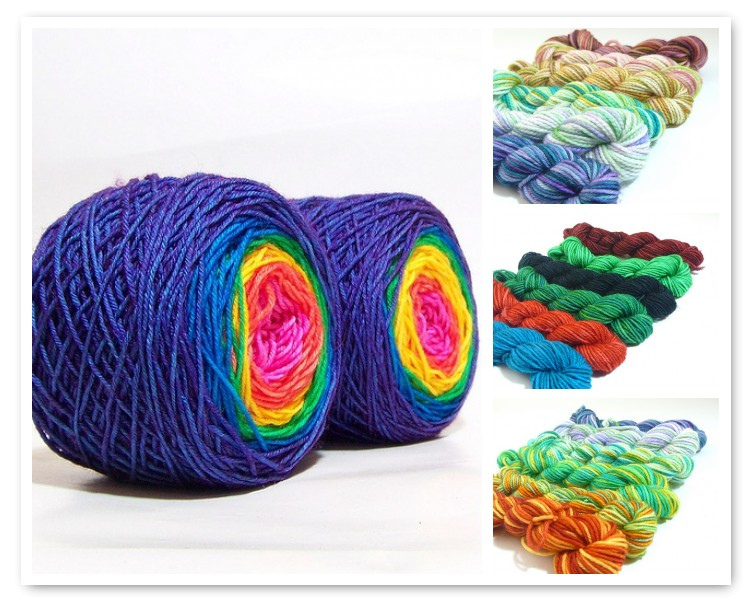 I love you maki yarns! I bought my first set a couple years ago and have been a fan ever since. LEMON MERINGUE PIE……And the your yarn that I have has a delicious yellow like the pie. I also posted on Facebook which is great as it has given my friends a chance to win as well! Homemade cheese cake is the best! Rainbow Chip frosting with a rainbow cake is always a festive birthday treat! Gob cake – which is two layers of chocolate cake with a spicy vanilla icing in the middle. No icing on top though – just the middle! I have always loved yellow cake with chocolate frosting. Havent had it in AGES though. Happy Anniversary! Ice cream cake! the odder the combinations of flavors, the more likely I am to love it! Chocolate cheesecake. I’m not the biggest fan of cake, but I love cheesecake. What I like to call wedding cake. White cake, white frosting – yummy!